A little over a week ago I had the chance to get up to Broad Down on the Malvern Hills. This area is a little south of the Hill Fort at Herefordshire Beacon (British Camp - take your pick). It is unusual for supporting plants that would normally be found on good limestone sites. 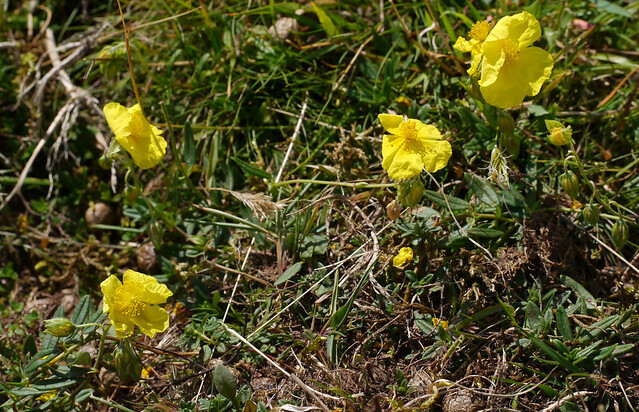 Birds foot Trefoil, and Wild Thyme are common and there is even a little Rock Rose. 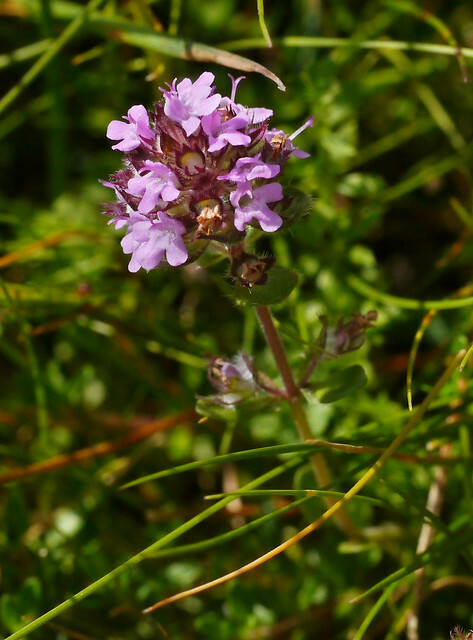 The Thyme in particular supports some moth species that are not widely recorded in the county. I was looking for what used to be called Delplanqueia dilutella. It has now been split into two species D. dilutella and D.inscriptella. The more widespread of the two, in this country was thought to be inscriptella with dilutella having been confirmed from Cornwall and parts of Ireland. 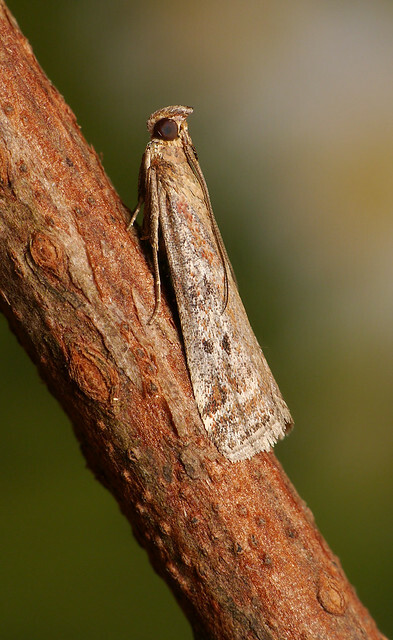 The two species are said to be very similar in appearance, dilutella being usually a little larger and showing a whitish fascia in the sub-basal area of the fore wing. Photos of previous county records suggested that the moths we see here were likely to be inscriptella but we did not have any specimens to dissect to confirm this. I managed to disturb a couple of these moths flying low over the Thyme on Broad Down. Visually they showed no sign of a white fascia and on dissection they were a good fit with published images of inscriptella as expected. It is highly likely that all VC37 records of dilutella should refer to inscriptella. These moths are not often seen in the county away from the Malverns, but we do have records from the Wyre, the far North West of the county (possibly wondering individuals from the Clee hills) and the south east (Bredon Hill area and in the shadow of the Broadway escarpment). If anyone finds one with any white near the base of the wing, do please hang onto it and let us know! Kinver Edge, Staffordshire, 8th July. Haugh Wood, Mon 4th July.